The Nano SIM is the latest improvement in SIM card technology, the SIM is approximately 60% smaller than the normal SIM we’ve been using since GSM invention. MTN now ensures that the next generation of super smartphones and other devices is supported seamlessly on their network. With the NanoSIM, you can enjoy your new Smartphones fully without getting worried about losing any function on your normal SIM because when you switch to a NanoSIM, your previous SIM’s function will still be there. 1. The Nano SIM’s tiny size helps to provide slimmer smartphones with sleeker designs just like the I-phone 5; probably the next generation smart devices will also be using Nano SIMs. 2. Smartphones with Nano SIM will have longer battery life and more storage space due to the extra space provided by the Nano SIM. 3. 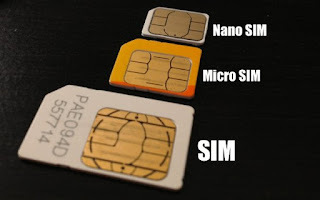 Nano SIM is well possessed with higher safety standard than the available normal SIMs. These are the benefits of purchasing the Nano SIM from MTN, to purchase yours – you can visit any MTN office or dealer nearest to you to get your Nano SIM because it is not commonly available like the normal SIM card we are mostly using. Feel free to use the comment box provided below in case you have any question, suggestion, contribution or opinion about the new Nano SIM. Hope this helps!!! The "Normal SIM" in the image is actually a mini SIM. The real normal SIM is sized as a business card.